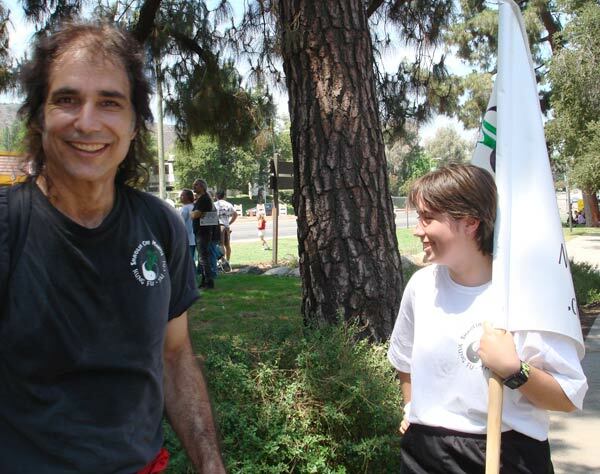 In 2008 Buddha Zhen (Zhen Shen-Lang) aka "Coyote" launched the Buddha Kung Fu schools. 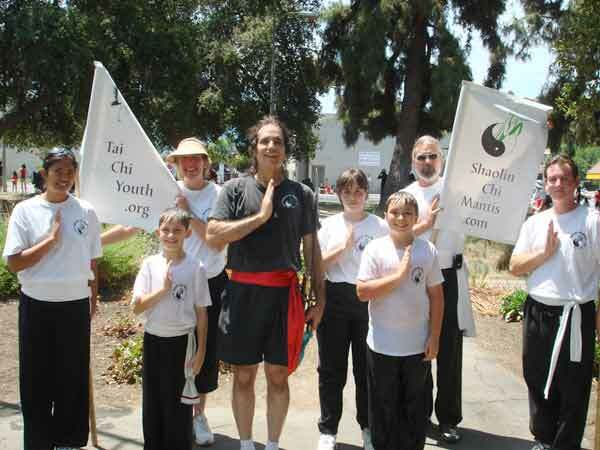 Utilizing the best and enjoyable programs from Tai Chi Youth, Buddha Zhen added back half of the Shaolin Kung Fu Forms and Chinese weapons to create a "doable Kung Fu" school for Americans. The Praying Mantis Kung Fu programs were kept in Shaolin Chi Mantis Traditional Buddhist Gongfu & Taijiquan curriculums. 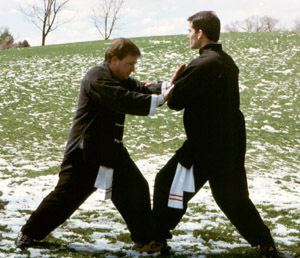 Buddha Kung Fu is a 10 level belt rank system. You start with a white sash and add 10 blue stripes to it. No other colors of sashes or belts. "It will be interesting to see if students can complete all ten belt rank levels in seven years," ponders Patriarch Zhen Shen-Lang. Zhen Shen-Lang is Richard Del Connor's Chinese name. Zhen = Truth. Shen-Lang = Spirit Wolf. So, Coyote's name is Spirit Wolf of Truth. 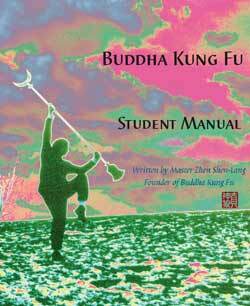 The Buddha Kung Fu Student Manual contains 40 pages of Coyote's history. "I wanted to take the fuel out of other people using my dirty laundry against me, or my students being surprised to learn of my rock and roll past." The book details Coyote's entire life in a unique outline form. 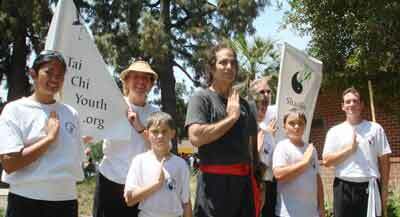 Richard Del Connor (in black shirt) is Buddha Zhen, founder of Tai Chi Youth and Shaolin Chi Mantis schools. The next year, 2008, was the official launch of Buddha Kung Fu. 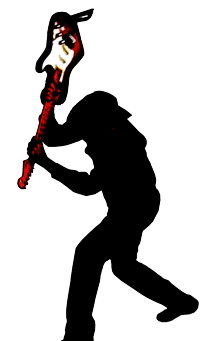 "A school between Shaolin Chi Mantis and Tai Chi Youth," explains Kung Fu Cowboy. Photo of students taking a break to perform their Kung Fu dances for the crowd. 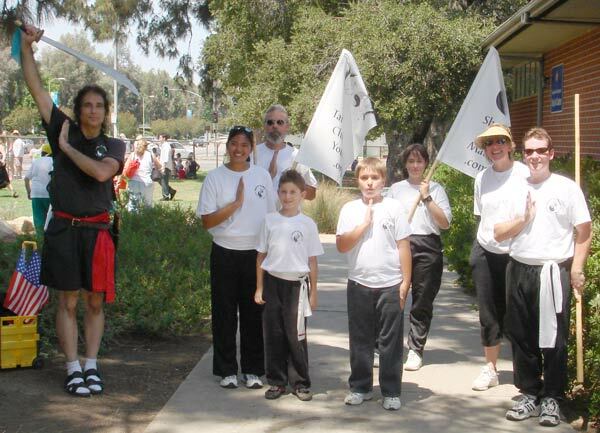 Son Rory, "Zhen Song-Dao," and daughter Caitlin, "Zhen Ming-Mou," were still attending Kung Fu classes in 2007. Kung Fu Cowboy and Kung Fu family. Sweaty Dad and smiling daughter. 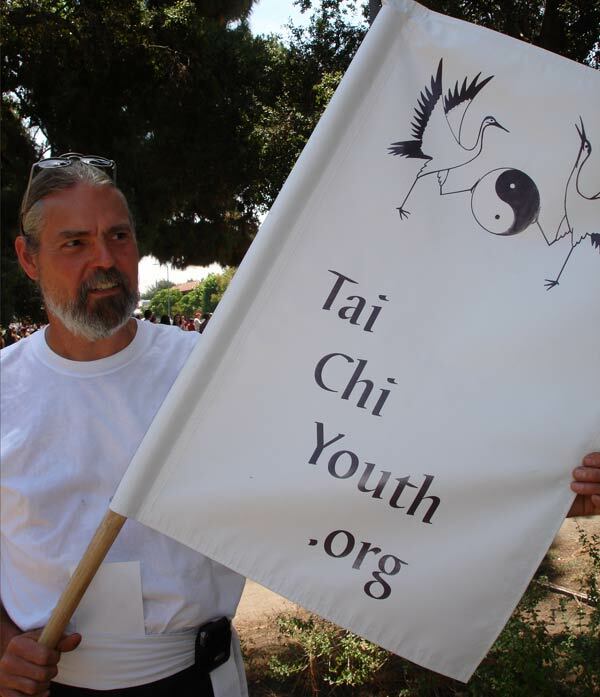 Tai Chi Youth is the nonprofit organization founded by Kung Fu Cowboy in 1996. 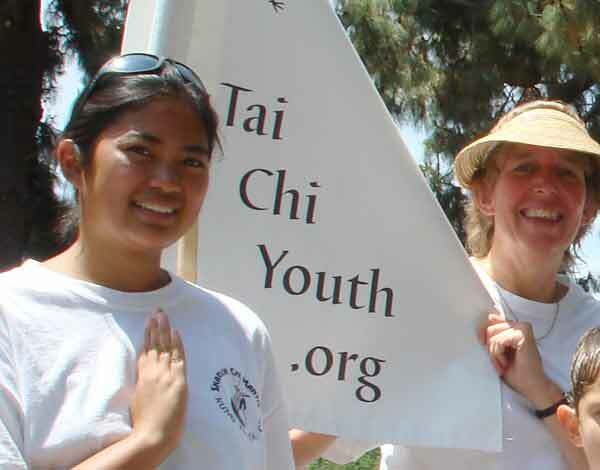 Tai Chi Youth includes programs for adults and seniors. The programs have been taught in a dozen public schools, several churches, and several community centers. This is how we like to see students leave our classes -- with a smile. 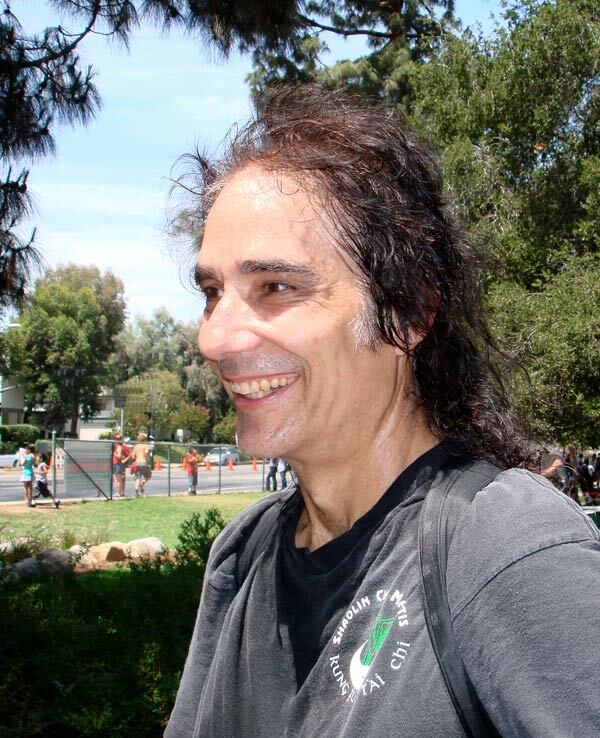 Coyote has enjoyed using Kung Fu to bring people together in harmony. Kung Fu is about living a happy healthy life. See! of the original Zen Buddhism.